The LRWP is committed to improving the health of our watershed as well as to helping our communities build places in which people want to live, visit, and do business. This “placemaking” approach to community development builds on and celebrates local communities’ authentic historical, cultural and environmental place-based assets. Given the history of settlement in Central New Jersey, those authentic place-based assets usually have something to do with water: our local streams, the Raritan River and Raritan Bay. A guiding principle of our work is to reconnect the Raritan River with its towns, specifically improving connections of the riverfront with downtown areas. We want to help improve these connections with creative Green Infrastructure installations, public art, performance and sculpture, and with enhanced parks, trail networks, ecological restoration areas and interpretive centers. Our planning focuses on water-oriented education, arts tourism and water-focused recreation. Our placemaking work emerged around the Watershed Sculpture Project, and we continue to develop the program through the Rail-Arts-River Public Art Master Plan. The Raritan Found Object Sculpture Exhibition is a partnership between coLAB Arts and the LRWP. This project promotes both civically engaged visual arts and environmental stewardship throughout the towns in the Lower Raritan Watershed. Targeting streams that are part of dedicated watershed cleanup efforts, coLAB and the LWRP collect objects that are littering local public waterways. These objects are given to artists who create found object sculptures. These works are then displayed in public spaces and alongside watershed wellness educational material. Through this linkage coLAB and the LRWP are using the arts to communicate an important civic cause and to advance interest in environmental concerns. In the past three years this project has the generated interest and support from city leaders, activists, and media and citizens. The public exposure of the project allows the LRWP to recruit “civic science” water quality monitors and volunteers for watershed clean-up and data collection efforts. coLAB Arts has used this project as a successful example of socially engaged public art that nurtures relationships between artists and community points of inspiration. 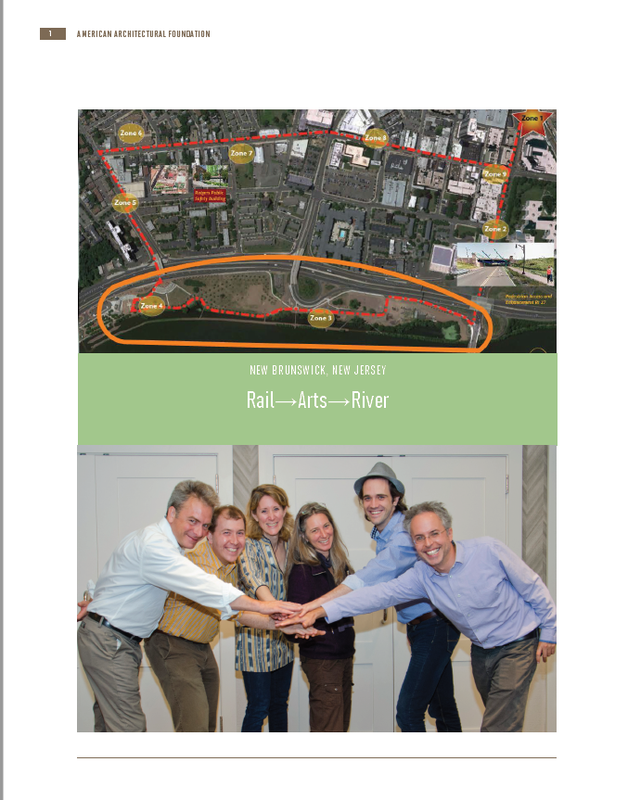 This project provided the groundwork for the working relationships and inspirational goals for the Rail Arts River Public Art Master Plan (see below). For more on the Watershed Sculpture Project, follow the Watershed Sculpture Project blog. The LRWP, along with coLAB Arts, DevCO, Middlesex County Planning Office and a host of other non-profit, corporate, and government organizations are developing long-term strategies for public art and public spaces in central NJ. The Rail Arts River Public Art Master Plan brings together these entities to coordinate efforts around public art in order to draw attention to the need for environmental sustainability, enhanced cultural assets, and open and recreational spaces. We are committed to ensuring community input into this process as the structure and feasibility of these projects becomes a reality. For more on the Rail-Arts-River Public Art Master Plan, follow the Rail-Arts-River blog. Read more about these ideas in the Rail-Arts-River concept plan (below), developed with the assistance of the American Architectural Foundation and our project team at the competitve Sustainable Cities Design Academy.